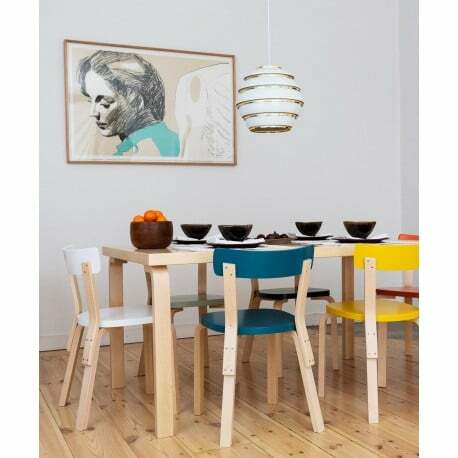 The iconic ‘Beehive' ceiling lamp by Artek fills your dining or living room with beautiful atmospheric light. 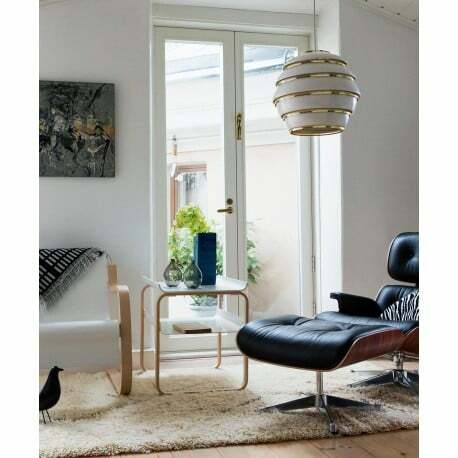 The Ceiling lamp A331 was designed by Alvar Aalto in 1953. 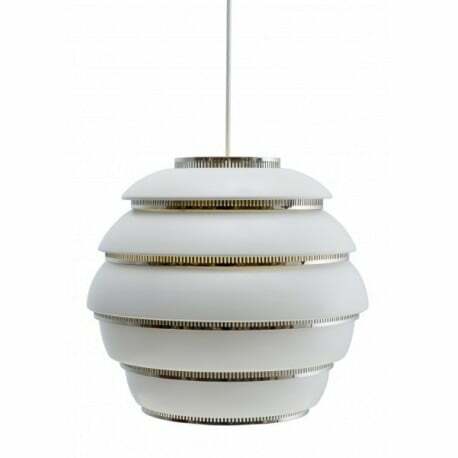 The 'Beehive' was designed for the University of Jyväskylä in Finland and became one of Aalto's most popular light fixtures for the home and public spaces alike. The A331 creates a warm, diffused light when lit, but is sculptural even when switched off. 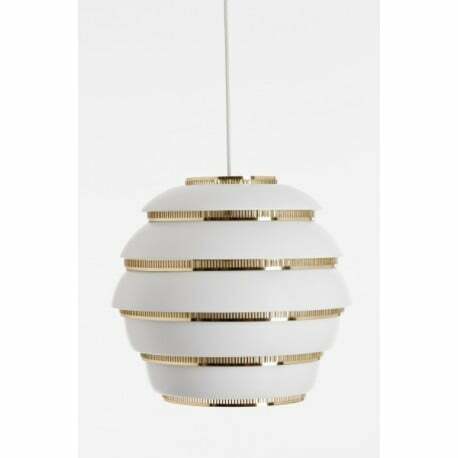 The Ceiling lamp A331 'Beehive' is handmade in white painted aluminium and Designcollectors offers you 2 different versions: with polished rings in chrome or messing. Fast delivery from stock. 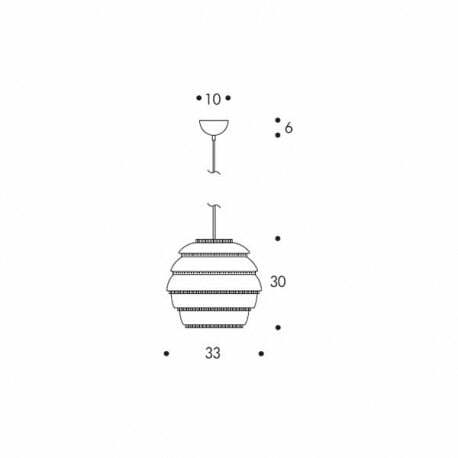 Configure your A331 Ceiling Lamp "Beehive"
1 x A331 Ceiling Lamp "Beehive"